Read the following article, and answer the questions below. Malcolm X was an African-American Muslim minister and human rights activist. To his admirers, he was a courageous advocate for the rights of blacks, a man who indicted white America in the harshest terms for its crimes against black Americans. Detractors accused him of preaching racism, black supremacy, and violence. He has been called one of the greatest and most influential African Americans in history. Malcolm X's father died—killed by white supremacists, it was rumored—when he was young, and at least one of his uncles was lynched. When he was 13, his mother was placed in a mental hospital, and he was placed in a series of foster homes. In 1946, at age 20, he went to prison for breaking and entering. In prison, Malcolm X became a member of the Nation of Islam; after his parole in 1952, he quickly rose to become one of its leaders. For a dozen years, Malcolm X was the public face of the controversial group, but disillusionment with Nation of Islam head Elijah Muhammad led him to leave the Nation in March 1964. One reason for the separation was growing tension between Malcolm X and Elijah Muhammad because of Malcolm X's dismay about rumors of Muhammad's extramarital affairs with young secretaries, actions that were against the teachings of the Nation. 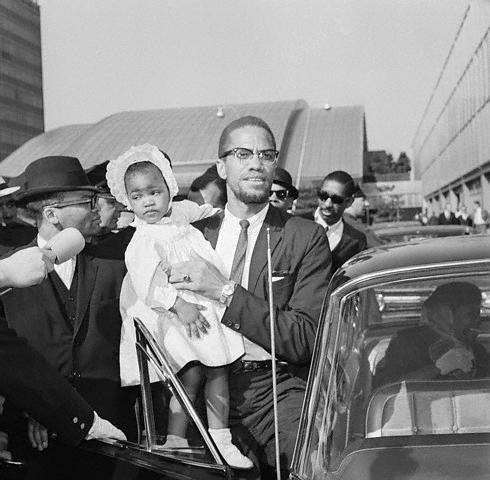 Although at first Malcolm X had ignored the rumors, after speaking with Muhammad's son Wallace and the women making the accusations, he came to believe that they were true. Muhammad confirmed the rumors in 1963 but tried to justify his actions by reference to precedents set by Biblical prophets. Another reason for the separation was growing resentment by people within the Nation. As Malcolm X had become a favorite of the media, many in the Nation's Chicago headquarters felt that he was over-shadowing Muhammad. Tensions increased between Malcolm X and the Nation of Islam. As early as February 1964, a leader of Temple Number Seven ordered a member of the Fruit of Islam to wire explosives to Malcolm X's car. 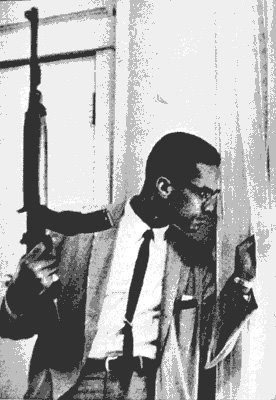 In September 1964, Ebony published a photograph of Malcolm X holding an M1 Carbine and peering out a window. The photo was intended to illustrate his determination to defend himself and his family against the death threats he was receiving. The Nation of Islam and its leaders began making both public and private threats against Malcolm X. On March 23, 1964, Elijah Muhammad told Boston minister Louis X (later known as Louis Farrakhan) that "hypocrites like Malcolm should have their heads cut off." The April 10 edition of Muhammad Speaks featured a cartoon in which Malcolm X’s severed head was shown bouncing. On July 9, John Ali, a top aide to Muhammad, answered a question about Malcolm X by saying that "anyone who opposes the Honorable Elijah Muhammad puts their life in jeopardy." 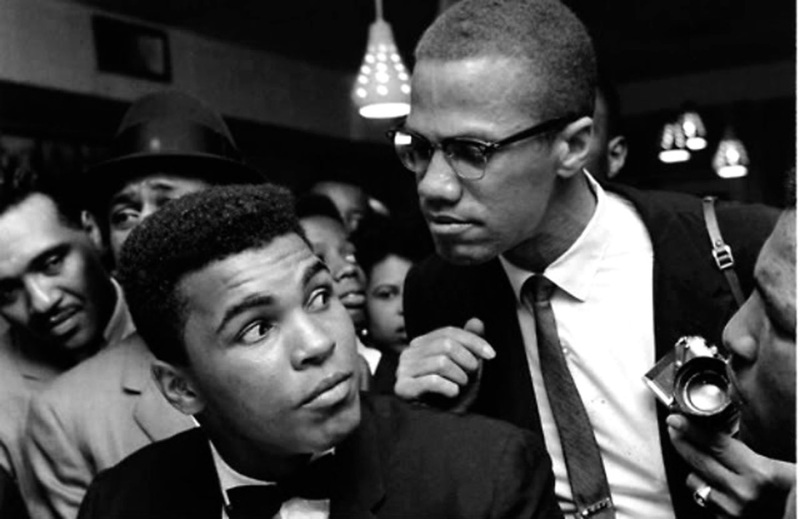 The December 4 issue of Muhammad Speaks included an article by Louis X that railed against Malcolm X, saying "such a man as Malcolm is worthy of death." Some threats were made anonymously. During the month of June 1964, FBI surveillance recorded two such threats. On June 8, a man called Malcolm X's home and told Betty Shabazz to "tell him he's as good as dead." On June 12, an FBI informant reported getting an anonymous telephone call from somebody who said "Malcolm X is going to be bumped off." In June 1964, the Nation of Islam sued to reclaim Malcolm X's residence in Queens, New York, which they claimed to own. The suit was successful, and Malcolm X was ordered to vacate. On February 14, 1965, the night before a scheduled hearing to postpone the eviction date, the house burned to the ground. Malcolm X and his family survived. No one was charged with any crime. On February 21, 1965, as Malcolm X prepared to address the Organization of Afro-American Unity in Manhattan's Audubon Ballroom, a disturbance broke out in the 400-person audience—a man yelled, "Get your hand outta my pocket!" As Malcolm X and his bodyguards moved to quiet the disturbance, a man seated in the front row rushed forward and shot him once in the chest with a double-barreled sawed-off shotgun. Two other men charged the stage and fired semi-automatic handguns, hitting Malcolm X several times. He was pronounced dead at 3:30 pm, shortly after he arrived at Columbia Presbyterian Hospital. According to the autopsy report, Malcolm X's body had 21 gunshot wounds to his chest, left shoulder, and arms and legs; ten of the wounds were buckshot to his left chest and shoulder from the initial shotgun blast. One gunman, Nation of Islam member Talmadge Hayer (also known as Thomas Hagan) was seized and beaten by the crowd before the police arrived minutes laterwitnesses identified the others as Norman 3X Butler and Thomas 15X Johnson, also Nation members.